Physicians and Sonographers choose Gulfcoast Ultrasound Institute for their ultrasound educational needs worldwide! The Gulfcoast Ultrasound Institute is recognized as the world-wide leader in continuing medical education (CME) within the ultrasound medical community. Since 1985 Gulfcoast Ultrasound has offered accredited ultrasound education for over 145,000 medical professionals across multiple specialty practices. Gulfcoast Ultrasound offers the largest scope of live educational activities and self-directed CME resources for all levels of experience. Continuing Medical Education (CME) opportunities include live, comprehensive hands-on ultrasound programs, (some with cadaver workshops), registry preparation programs, Scan only workshops, Interpretation seminars, online interactive courses, webinars, online articles (CME Vitals), and blended-education programs (combination of online course(s) and scan only workshop(s). Gulfcoast Ultrasound also offers customized private, one-on-one blended education providing the individual the ultimate learning hands-on scanning experience. Customized onsite education programs are also conducted by request for groups of medical professionals offering convenience, flexibility, cost-effective education, and most importantly consistency in training to successfully integrate ultrasound protocols into the clinical setting. Gulfcoast Ultrasound Institute conducts its regularly scheduled and customized private programs in our state‑of‑the‑art education facility located in vibrant downtown St. Petersburg, Florida. The education facility has the latest in audio-visual web-stream, and ultrasound technology. All programs are taught by leading ultrasound experts and the 3:1 participant to instructor ratio is the lowest in the industry offering the most hands-on skills training available. Gulfcoast Ultrasound receives a consistent 99% satisfaction rating for meeting or exceeding over-all educational objectives and > 90% successful registry exam pass rate. 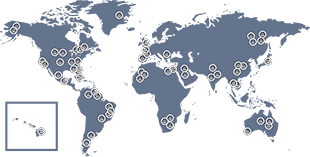 Gulfcoast Ultrasound Institute (GCUS) is the most comprehensive, accredited resource for live and online diagnostic ultrasound training and CME. 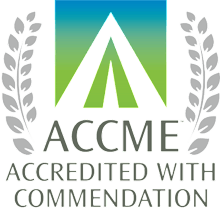 The Gulfcoast Ultrasound Institute is accredited by the Accreditation Council for Continuing Medical Education (ACCME) to provide continuing medical education for physicians. Since 1985, Gulfcoast Ultrasound has been dedicated to providing the highest quality continuing medical education (CME) and skills training in the diagnostic ultrasound profession. All activities are approved for AMA PRA Category 1 Credits™. Located in downtown St. Petersburg, Florida, Gulfcoast Ultrasound Institute has hosted over 145,000 physicians, sonographers, and other medical professionals with a broad range of ultrasound continuing medical education options, and has awarded over 500,000 CME credits to participants worldwide. Gulfcoast Ultrasound Institute offers over 40 live seminars/courses and dozens of webinars a year, along with over 400 self-paced ultrasound training products in abdominal, adult echocardiography, anesthesiology, emergency medicine, critical care, musculoskeletal (MSKUS), OB/GYN, breast, rpvi, midwife, pediatric, physics, vascular and registry review in multiple learning formats. Past participants from our registry review courses, programs and products have a >98% exam success rate, the highest in the industry. Gulfcoast Ultrasound Institute is also the first education provider in the industry to offer our latest learning format, Blended Ultrasound Training. This format combines our comprehensive online classroom programs with live 3:1 participant to instructor scan ratio hands-on scanning workshops. Only the latest technology and innovative teaching methods are used at Gulfcoast Ultrasound Institute to ensure learners receive the maximum educational benefit from each course and product offered. As a result, seminars/courses, webinars, and educational products have received a 99.8% satisfaction rating for meeting or exceeding overall educational objectives. Gulfcoast Ultrasound Institute also receives consistent high ratings for the quality and amount of hands-on instruction (industry leading 3:1 scan ratio) that are offered to all participants...a key component to effective medical education. The scanning workshops are taught by expert physicians and registered sonographers, thus allowing the learner to obtain experience performing the ultrasound examinations under supervised conditions. The learner scans live models with no more than a 3:1 participant to instructor ratio providing a generous amount of skills training with individual attention. Inanimate phantoms and human cadaveric specimens (selected programs) are also utilized for ultrasound-guided procedural applications. Gulfcoast Ultrasound also uses ultrasound machines from most all equipment manufacturers within the ultrasound industry. The instructors use a checklist to evaluate the learners’ ability to identify specific anatomy and their ability to perform protocols associated with various types of examinations. For selected activities a signed log of exams performed/interpreted is also provided for use in fulfilling hospital credentialing and/or certification purposes. The Gulfcoast Ultrasound Institute faculty are all leading experts in the ultrasound profession. Offering many years of experience, our faculty have authored and co-authored numerous textbooks, articles, abstracts, and other publications relating to all ultrasound specialty topics. The Gulfcoast Ultrasound Institute’s faculty are also engaged in activities designed to improve patient care and safety including involvement in their own hospital quality committees, national organizations and coalitions. Many of our faculty members participate in the Gulfcoast Ultrasound Institute (GUI) QI Task force to share evidence-based information and to ensure the Continuing Medical Education (CME) activities offered are consistent with current practice standards. SHARE US, FOLLOW US, TWEET US, LIKE US, SCAN WITH US!